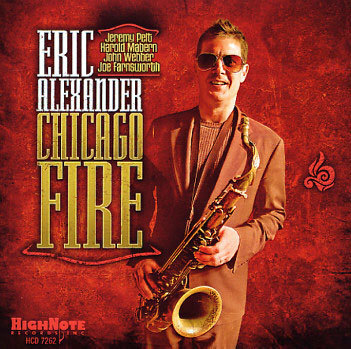 Chicago Fire is as much description as title: It’s Eric Alexander’s tribute to the Chicago tradition, and the band is particularly incendiary throughout. This crew-Alexander on tenor saxophone, Harold Mabern (Alexander’s former mentor) playing piano, John Webber on bass and Joe Farnsworth drumming-has enjoyed a solid working relationship for more than a decade, and they’re as reliably sturdy and intuitive as ever here. (The rapport between Mabern and Alexander seems nearly telepathic.) When Jeremy Pelt joins the band on trumpet for three tracks, two of them leading off the record, the excitement surges. But as sensitive as these musicians are to one another, Alexander chooses to spend the lion’s share of his time fronting these eight tracks; he seems to have invested even more of his soul in this project. His blowing is extraordinarily articulate and ecstatic, his tone bright and muscular, leadership and inspiration flowing nonstop. Alexander has released more than 30 albums in two decades, and this is one of the most vital. Although the set was recorded at Rudy Van Gelder’s New Jersey studio, the Windy City love is palpable. “Eddie Harris”-something of a companion piece to the David Hazeltine-penned “We All Love Eddie Harris” that appeared on a previous Alexander recording-is imbued with the good-time soulful funk and melodicism that was a hallmark of the late tenor saxophonist’s playing. 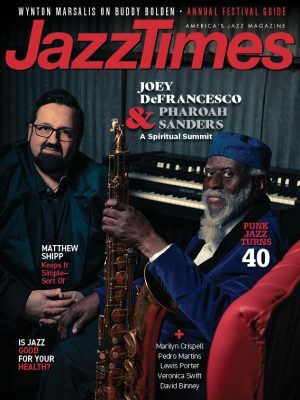 “Blueski for Vonski,” Alexander’s nod to the also departed Von Freeman, opens with spoken-word banter between Mabern and Webber about the song’s honoree, then gives the floor to the pianist and saxophonist, whose repartee is equally animated. “The Bee Hive,” a salute to a long-gone Chi-town club, showcases Pelt and Alexander in a hot-tempered duel. Other tracks are connected to the theme more tenuously, but no matter, the point gets across: Chicago is their kind of town.